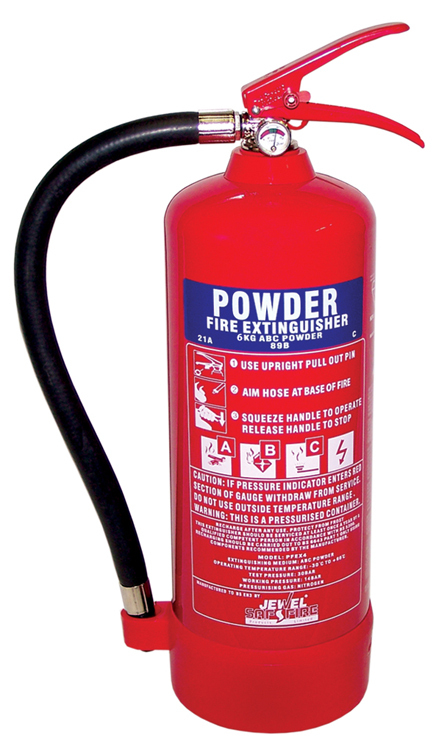 Firepower 6kg ABC Dry Powder fire extinguisher, suitable for tackling most types of fire. Highly effective on electrical hazards, flammable liquids and gases. It has a corrosion-resistant finish and protective plastic base. Operated with a squeeze grip action. Kitemarked to BS EN3. Supplied complete with bracket.